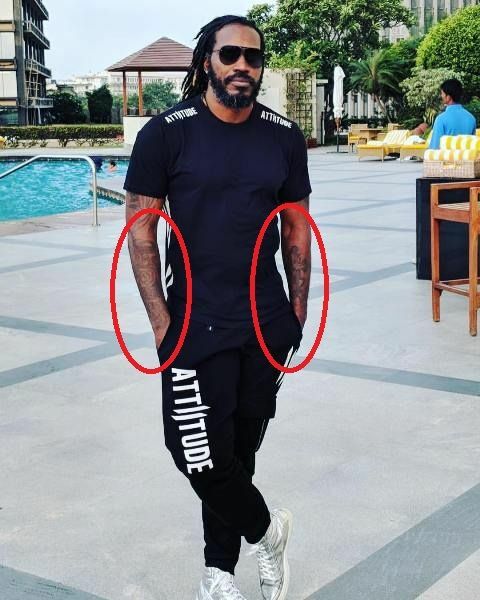 Christopher Henry Gayle or Chris Gayle, popularly known as the ‘Universe Boss’, is a well established Jamaican cricketer and former captain. 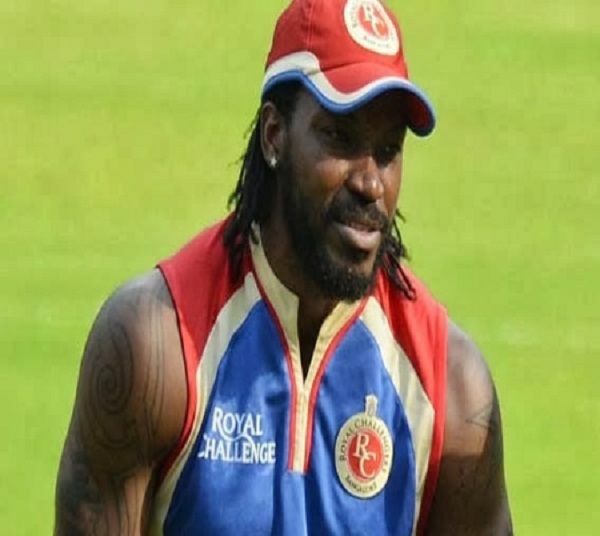 Gayle has been considered one of the most destructive batsmen in the world. 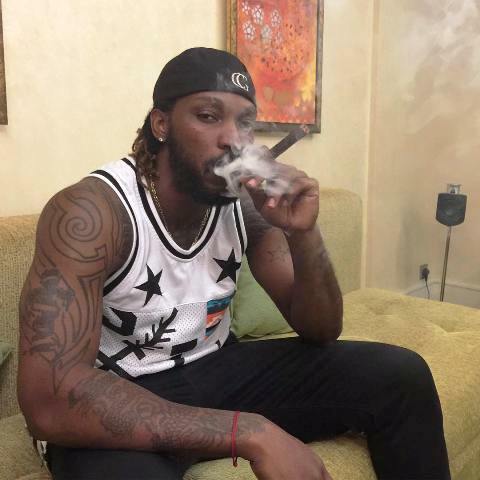 He remains in limelight for his unique batting style, parties, controversies, etc. 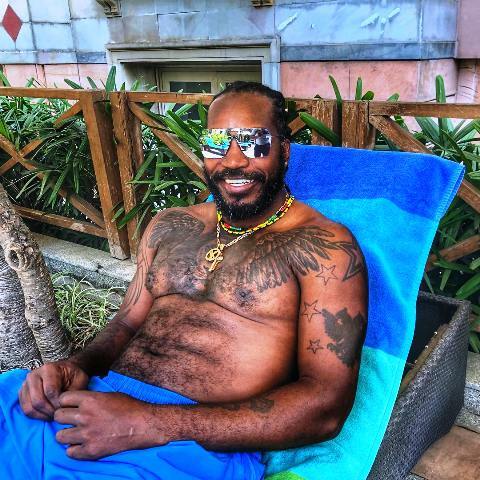 Tattoo: Gayle has a lion tattoo on his chest. On either side of the lion, wings can be seen and a crown on the head of the lion can also be seen. 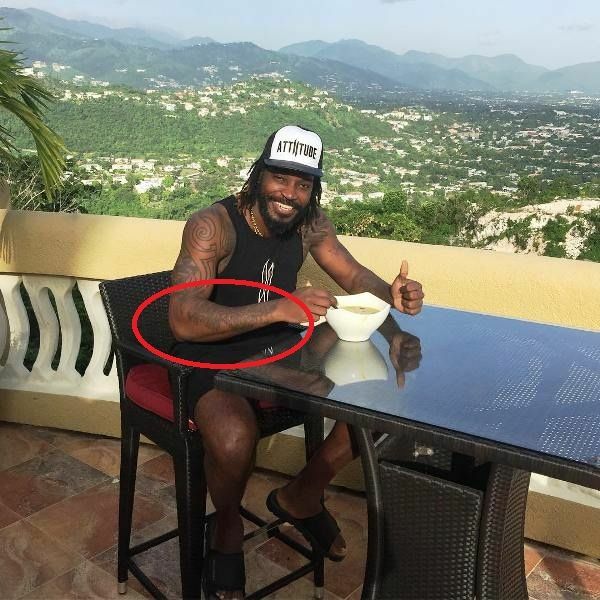 Tattoos on Chris Gayle body are just for fun, they don’t mean anything. Tattoo: On his left arm, a big star can be seen. Apart from it, other small stars are also clearly seen. 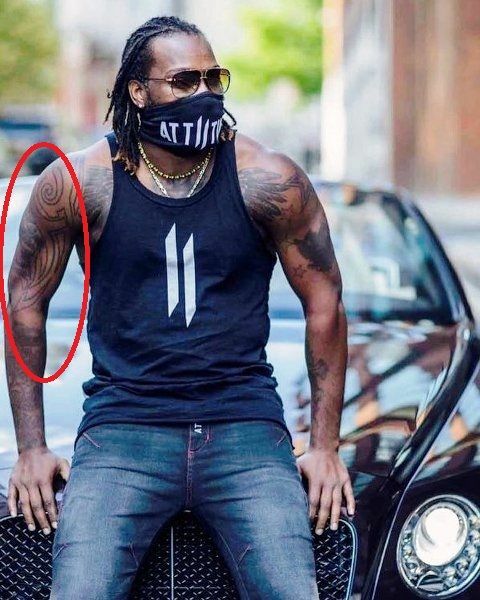 Tattoo: The tattoo of a bird on his left arm can clearly be seen in the red circle. 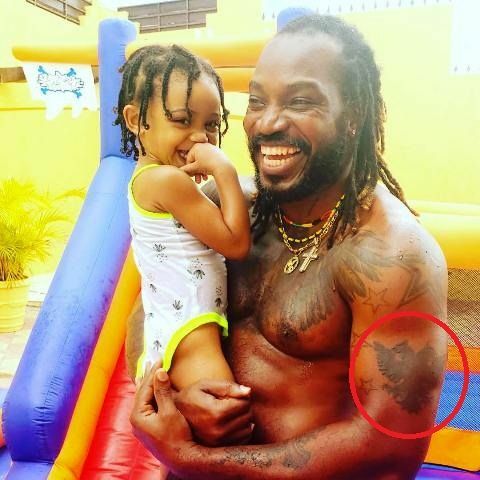 Most probably, it is a bat with wings spread. Tattoo: On his left and right forearms, some designs are patterned. 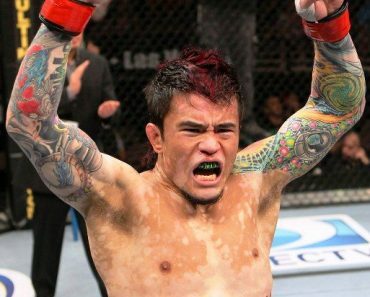 Tattoo: His upper right arm is also covered with tribal arts.